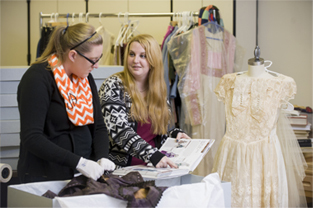 If you desire a career in the fashion industry, whether it is in buying, product design, or marketing, the Fashion Merchandising concentration is for you! Our program gives you an opportunity to shape your course of study to meet your specific goals. An individualized focus, planned through advising, gives you the basis for meeting your goals. The supervised field experience offers on-the-job professional training in your area of interest. For those seeking a career in fashion merchandising, the opportunities are limitless.